The Islamic Republic of Iran (IRI) is a full member of the Basic Multilateral Agreement (MLA) TRACECA from 2009. Within the framework of this visit there were held the meetings with the representatives of the top management of the Ministry of Roads and Urban Development of: Mr. Sh. 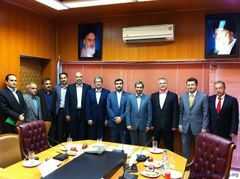 Afandizadeh, Deputy Minister, Head of Road Maintenance and Transportation Organization of Iran, TRACECA National Secretary in the IRI, Mr. S. Sadr, Deputy Minister, Managing Director of Port and Maritime Organization of Iran, captain R. Nakhjavani, Vice Minister, President of the Civil Aviation Organization of Iran. During the meetings the participants exchanged views on the issues of development of transport infrastructure, prospects of further development of the international transport corridor and implementation of the Strategy of the IGC TRACECA up to 2015, as well as the current issues of the forthcoming Ninth Annual Meeting of the IGC TRACECA to be held on 24 November 2011, in Bucharest, Romania. 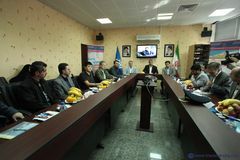 The meeting participants noted that transport-transit potential of the Islamic Republic of Iran will considerably extend the geography of traffic along the TRACECA corridor, at the same time enhancing the competitiveness and attractiveness of the TRACECA routes for cargo carriers. Emphasizing the significance of development of roads and multimodal transport the Parties reached a common opinion regarding specific subsequent actions in the implementation of the Concept of Development of Road Traffic within the TRACECA Corridor as well as participation of the Iranian Party in the Meeting of the PS IGC TRACECA on Competitiveness. 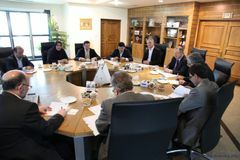 During the visit the delegation paid a visit to the port of Amirabad, one of the biggest and modern developing ports in the north of Iran, on the southern coast of the Caspian Sea with favourable geographic situation, vast space and unique capacities. In 1997 the Supreme Council of Free Zones approved this area as a special economic zone. The port operates since 2001 and it will be equipped with 34 new quay walls with of the moving capacity of 15 million tons of goods at the end of the implementation of the 3rd phase of the construction of the port, which will be one of the largest and most important areas of the Caspian Sea. The Secretary General familiarized with the port infrastructure, visited rail-ferry dock port which is currently under construction as well as Meteorological Center. 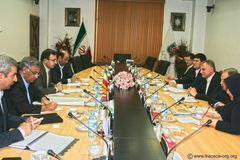 On the outcomes of the visit, the parties discussed issues on development of trade, economic and transport relations of Iran with the other MLA TRACECA member-countries.